Since our founding in 2005, Hekima Place has cared for dozens of girls in urgent need of rescue and care. Hekima Place began in 2005 with 10 girls on rented property, and our Founding Director Kate Fletcher has always intended for Hekima Place to remain small and familial. The need is great, however, and over the last decade we have grown and become a respected part of our community. Today, over 85 girls are part of the Hekima Place family, but we remain a close-knit, intimate community. This strong foundation gives our girls the chance to fulfill their God-given potential to become educated, loving, and engaged members of their community and the world. 3rd year university student. Linet is a Community Development major at St. Paul’s University, student council president of her class, and, as she says, a future Parliamentarian! Attending university or vocational school is a rare opportunity in Kenya, particularly for children from challenged or low-income settings. We are very proud that are girls are succeeding at their courses of study and strategically choosing the direction of their future careers. 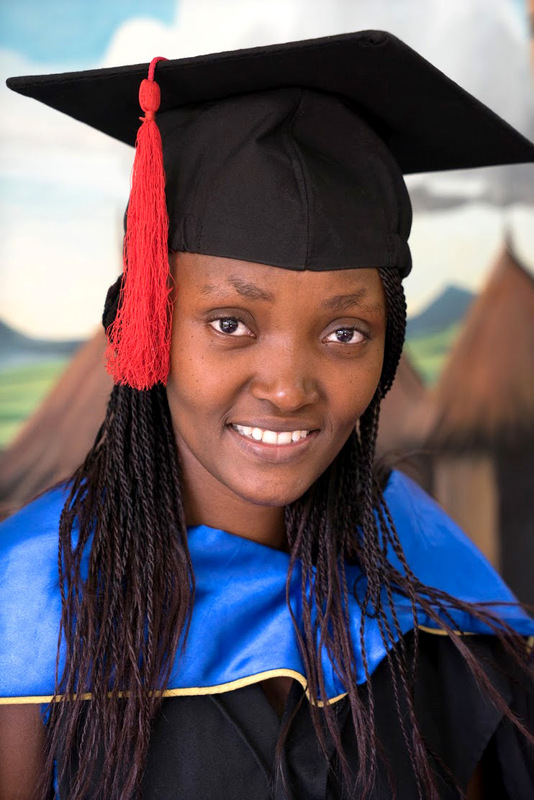 Purity, who graduated last year with a bachelors degree in Law and began working on an 18 month-practicum at the Kenyan Law School that will qualify her to begin practicing. Maggie, who earned a certificate from Kenya Airways to become a flight attendant. While there, she completed special programs in German language and customer service. Maggie became a full-time employee of Kenyan Airways in September 2016. Approximately 20 of our girls are currently enrolled at Kenyan universities or trade schools. Five recently completed their schooling, and the others have returned for another term. Five high school seniors will graduate this year, so we expect that over 20 of our girls will continue to be enrolled in higher education over the coming year.